Posted February 5, 2016 by Ellie Michell & filed under News. One of our work experience volunteers has been selected to play cricket for a Cornwall girls under 19 team travelling to South Africa. Helena Simpson (pictured above, left), who is the daughter of one of our trustees and has volunteered at People and Gardens for over two years now, departs for South Africa on 9 February. This is the first ever Cornwall girls cricket overseas tour, and only the 3rd ever nationally. It sees the girls play nine matches in two weeks, at Johannesburg and Cape Town. It will also be a wonderful cultural experience for Helena, who will spend most of her time with a host South African family. 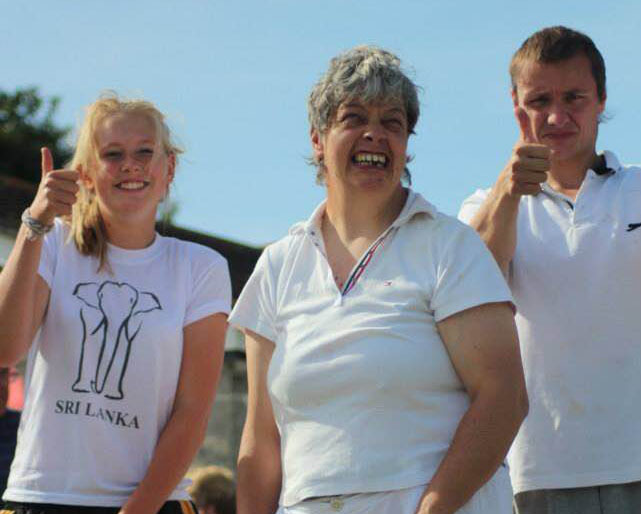 Helena has played cricket for her county for over five years now, from the age of 11. We wish her well for her trip. Well done Helena and good luck to the team!